Isn’t it true that we feel happy and energized when there is a good natural flow of communication that results in clear understanding? Conversely, when we are stuck in unresolved communication calamity it tends to deplete us, like pulling the stopper from a bathtub drain. Know that even though we may all be speaking English and have positive intent, there are differences in communication styles that can lead to misunderstandings and mistakes. 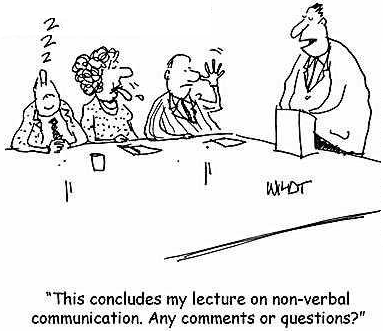 Having a strategy to adapt our communication style to another’s style can provide a positive outlet to avoid and defuse conflict. In the 1970s a new paradigm for creating rapport via adaptation of communication style was created by Richard Bandler and John Grinder. It was called Neuro-Linguistic Programming or NLP. This model has been revised and refined over time by some, including myself. I don’t call it NLP anymore because it sounds too much like brain surgery or psychological warfare. My term is “Primary Modalities of Language,” or PML. These are the basics I am alluding to, but when you apply this formula to different people it gets you through the first door to their primary communication orientation, i.e., entering their world. If you’re in a foreign country it is advisable to use some of the local language for rapport. Likewise in this case, use some of the primary language when relating to people who are more visual, auditory or kinesthetic than you. Besides vocabulary, how can you determine a person’s primary modality? Oftentimes, their profession is a strong clue. For example, if it’s a musician, chances are excellent that it’s going to be auditory; an artist who paints landscapes is primarily visual; a massage therapist, kinesthetic. There are also physiological cues that I will elaborate on in the next edition.